---Dr Charles GlanvilleDr Scott HussingDr Jennifer GlanvilleDr Nikolaus FathI didn't see a doctor! Which Optician did you work with? Did you have to wait long to see the Doctor? Did the Doctor spend an appropriate amount of time with you? Did the Doctor thoroughly explain the results of your exam? Was the Front Desk Staff polite and helpful? 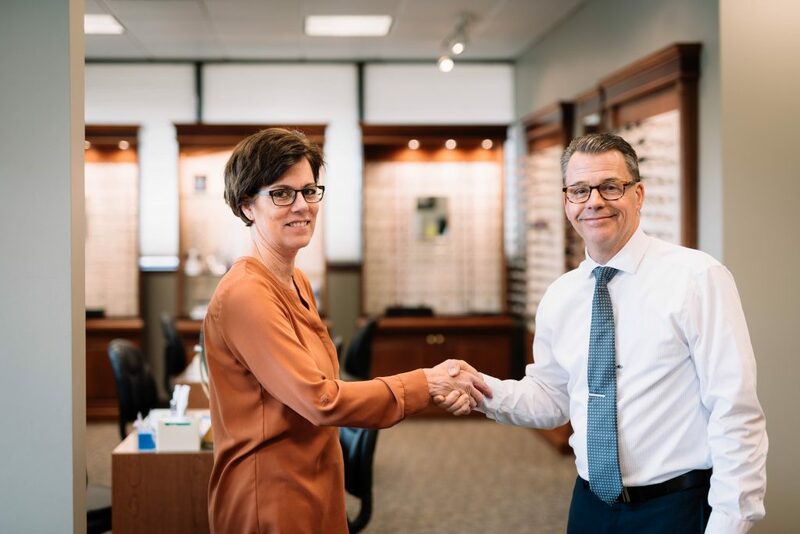 Was the Optician courteous and helpful? Did the Optician explain all the options available to you? Did the Optician answer your questions competently and completely? Was the variety of eyewear satisfactory? Did the staff thoroughly explain our fees and answer your insurance questions? Were your eyeglasses ready in a reasonable amount of time? Were your eyeglasses adjusted comfortably upon delivery? Pick them up at the Office. Have them direct shipped from the manufacturer. Overall, How would you rate the Practice?